Earlier this month, the Coolpad Dazen X7 was officially released and was scheduled to go on sale on January 15th. However, due to issues in production, the sale date has been postponed to the 22nd of January. The frame is claimed to go through CNC methods, which complicates the production, causing a shortage in units for the initial schedule. The Coolpad X7 or Coolpad 8690 will feature an octacore MT6595 chipset with 2GB of RAM and 16GB of internal memory. The screen will be sized at 5.2 inches with a 1080p resolution AMOLED display. The rear camera is equipped with a 13MP sensor, while the secondary front-facing camera has an 8MP sensor. Network support extends to 4G LTE connectivity. The phone’s frame is said to be made of aluminum alloy material, while its body will be layered with Corning Gorilla Glass 3. 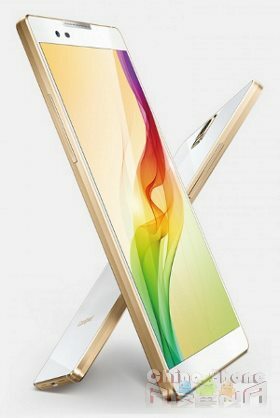 The X7 will be offered in Gold, Blue, Pink, and White colors. A 2700mAH battery will be powering the device, with Android 4.4 running the show. Coolpad’s CoolUI6.0 will be implemented on top of Android KitKat. There are supposedly three versions of the X7, but reports are contradictory when it comes to the third version. The first is a single SIM version priced at around $257, based on a MediaTek SoC, while the second version is a dual SIM rendition, priced at around $273. Some reports claim that the high-end version will feature a Qualcomm Snapdragon 801 chipset, whose price tag is around the $322 range. Others say that the third one will still feature the MT6595 chipset but will be packing 3GB of RAM. Hopefully the sale on January 22nd will clear things up.